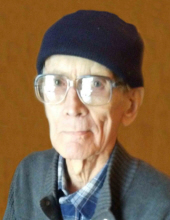 Mr. Edwin Nielsen, age 81, of Hull, passed away on Tuesday, March 19, 2019, at the Mercy Medical Center in Sioux City. There will be a memorial service on Saturday, March 23, at 1:00pm, at the St. Paul Lutheran Church in rural Hull. The Rev. Aaron Deutsch will officiate. Interment will follow the service at the church cemetery. Edwin Eugene was born on September 24, 1937, in Le Mars, the son of Bert and Martha (Juhl) Nielsen. He was raised on a farm at Rock Valley and then in the Cleghorn area. He began farming at an early age and built many things while farming, including automatic chicken nest openers, a garage door opener from scratch, and a television, assembling the various components. After leaving the farm, he graduated from the Mankato Commercial College in Minnesota with top honors. After that, he worked at Jostens in Mankato, Sioux Transportation in Sioux City, and Williams and Company in Onawa, as a certified public accountant. “Eddie” had many interests. He was clever with gadgets and computers, but was most beloved for his presence and great sense of humor, especially by his extended family. Survivors include one sister, Helen Nielsen Eckstein, of Chanhassen, Minnesota; two brothers and their wives, Arnold and Pearl Nielsen, of Hull; and Phillip and Wilma Nielsen, of South Sioux City, Nebraska; thirteen nephews and nieces, Barry, Beth, Ted, Sharon, Stan, Jan, Rev. Alan T., Charlotte, Ken, Martha, Lisa, Diane, and Martin; and many great nephews and nieces and great-great nephews and nieces. In addition to his parents, he was preceded in death by a sister and her husband, Lillian and Wendell Toenjes; a brother and his wife, Harold and Florence Nielsen; a sister-in-law, Lois Nielsen; a nephew, Burton Eckstein; a niece, Carol Toenjes-Sylvester, and many cousins. To send flowers or a remembrance gift to the family of Edwin E. Nielsen, please visit our Tribute Store. "Email Address" would like to share the life celebration of Edwin E. Nielsen. Click on the "link" to go to share a favorite memory or leave a condolence message for the family.